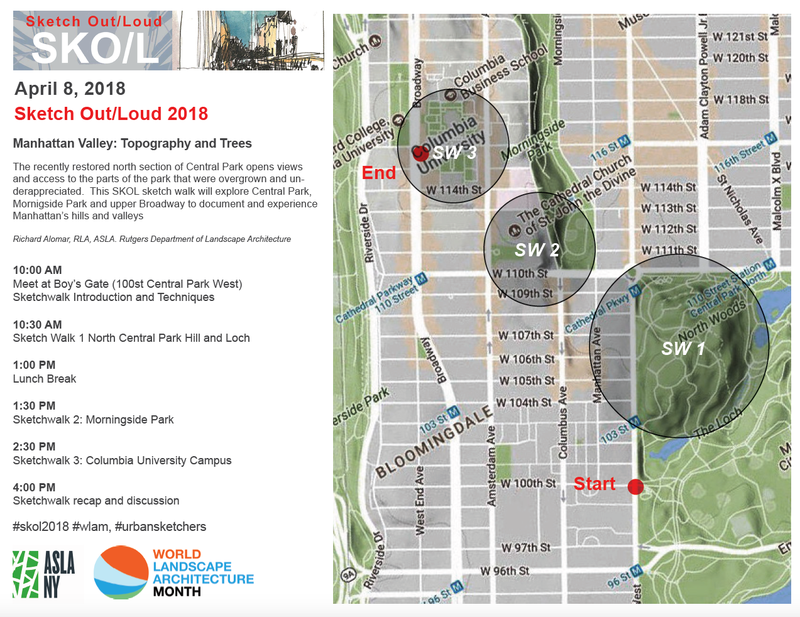 This Saturday, weather permitting, we'll experience NYC nature sketching through the eyes of Landscape Architects. 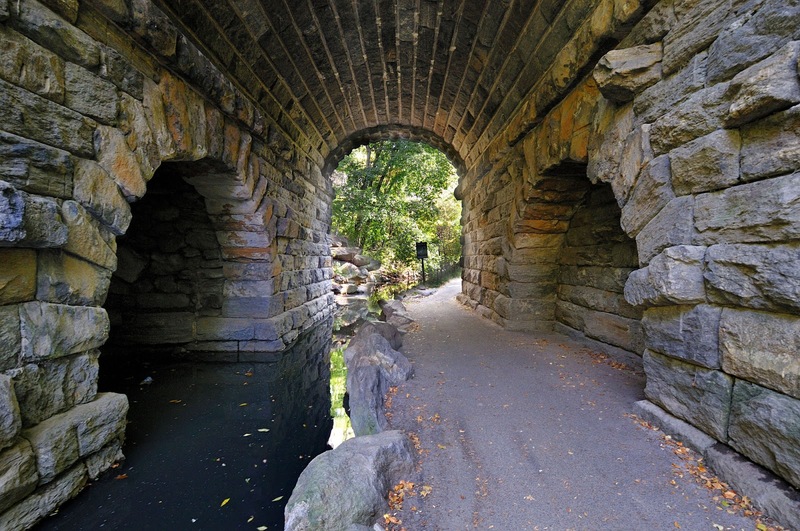 We will be sketching with a group of landscape architects and students, led by Richard Alomar. 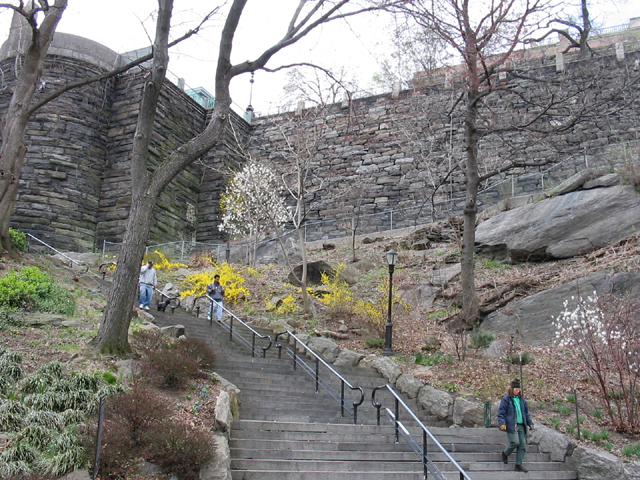 The recently restored north section of Central Park offers open views and access to the parts of the park that were overgrown and under appreciated. 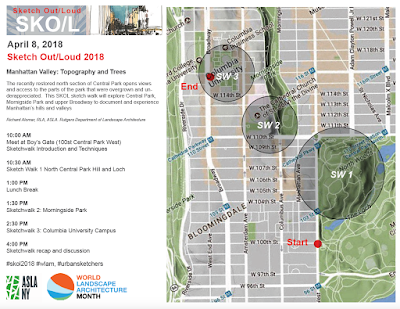 This sketch walk will explore Central Park and Morningside Park documenting and experiencing Manhattan’s hills and valleys. NOTE: The weather report for Saturday looks particularly unpleasant right now, but things can change. An email blast will go out on Friday, with posts to Facebook and our blog to confirm this event. Plan B, if we're forced indoors will be a visit to the Museum of Natural History, - an inexhaustible source for pleasurable indoor sketching. 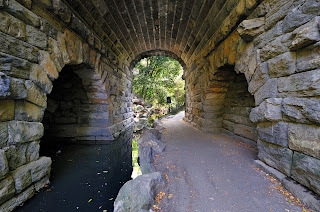 Where: We'll meet at the entrance to the park at West !00 Street and Central Park West. There will be a discussion about techniques before we enter the park at 10:30 to sketch. Lunch: 1:00 PM - Eat on the run. Bring your own or purchase from vendors in the park. 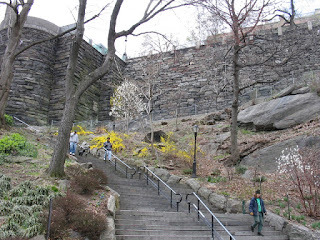 Afternoon: 1:30 PM Walk to Morningside Park (the park behind the Cathedral of Saint John) to continue sketching. Show and Tell: 2:30 PM. 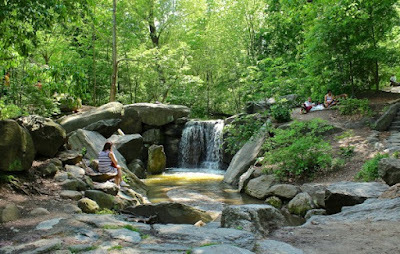 We will park company with the Landscape Architects, who are going to walk to the Columbia campus to continue sketching. We're going to Mel's Burger at 2850 Broadway (at West 111 St and Broadway) Phone: (212) 865-7100 where we will share drawings, good stories and snack, beer or wine if you're so inclined. - Check to confirm the weather is okay for outdoor sketching. Plan B is to meet at the Museum of Natural History. Confirmation will be sent and posted on Friday. - Dress warmly in layers, this has been a stubborn winter.